The last few months of the year are busy for most – busy with shopping, gift-giving and gathering with family and friends. During this time of gratitude, it’s important to reflect on what we can do for others. As you give thanks, please remember to think of those who are less fortunate. This year we are hosting our second annual in-store fundraiser benefiting the Denver Rescue Mission with the goal of raising money to support homeless and in-need members of the community. Show your holiday spirit by giving back this season! 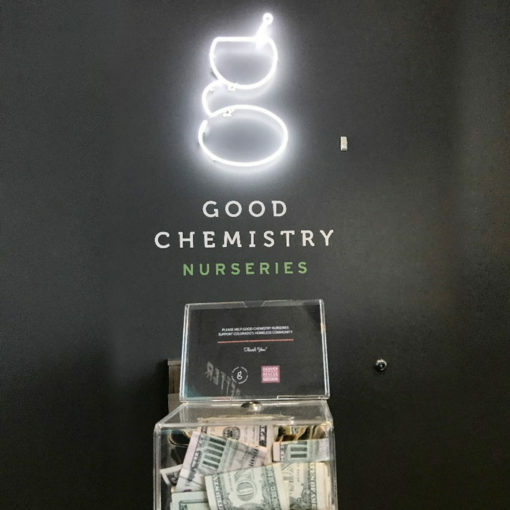 Stop by your local Good Chemistry to support this worthy cause. Can’t afford to give monetarily? We encourage you to explore other volunteer opportunities and ways to make a positive impact.